I’m mesmerized every spring by the curly, twirly wands that trumpet garlic’s July arrival. 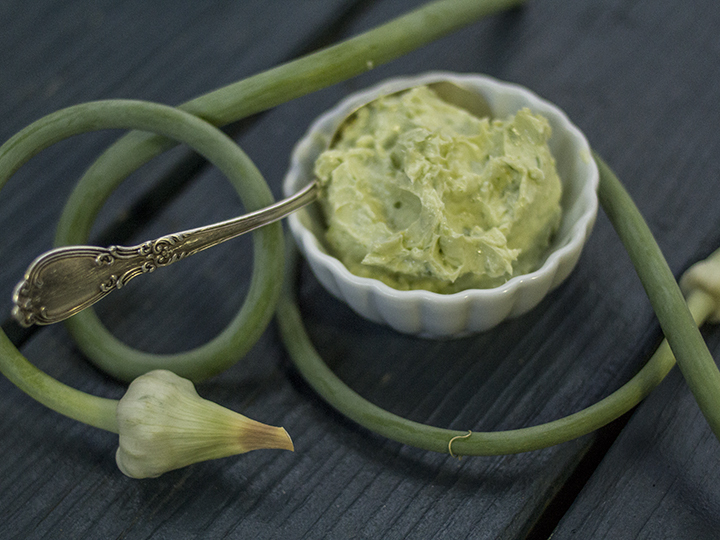 Garlic scapes are the flower stalk of garlic bulbs, emerging soon after the first leaves. They are best harvested when tender in color and crunch – the longer they spin in the garden bed, the woodier and tougher they become. 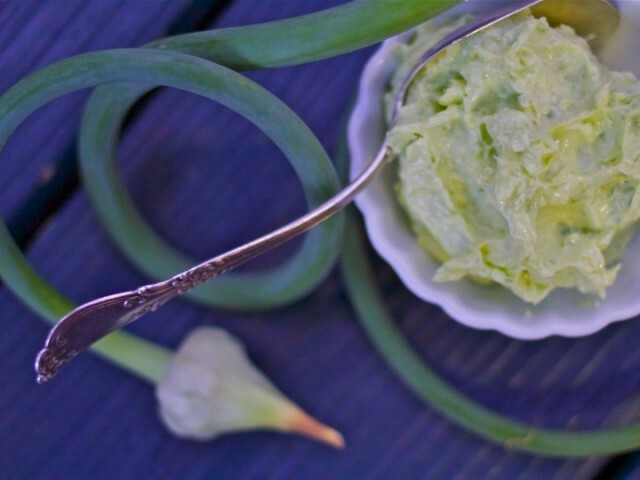 Like garlic, scapes are packed with immune-boosting properties that ward away vampires and other evil spirits. Though Bobby protests a-plenty, I nosh them raw regularly. Bottom line: when the weather is epic and the sun is singing, I’m determined to stay healthy so I can play, play, play! 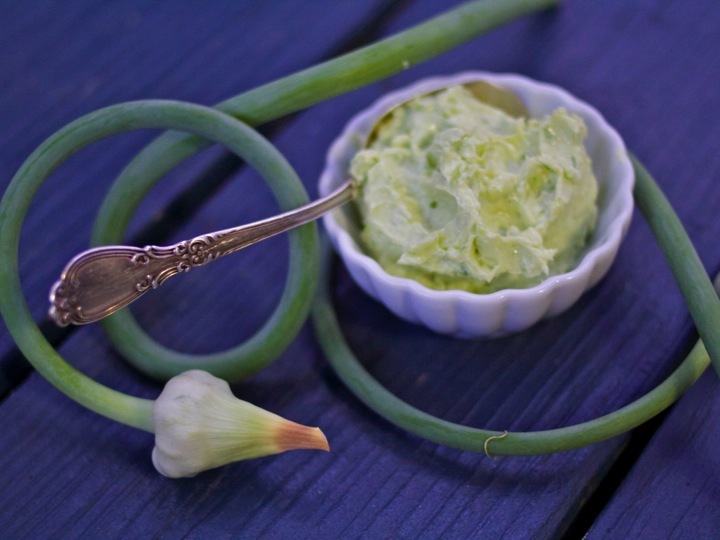 For cooking, you can treat garlic scapes like, well, garlic. 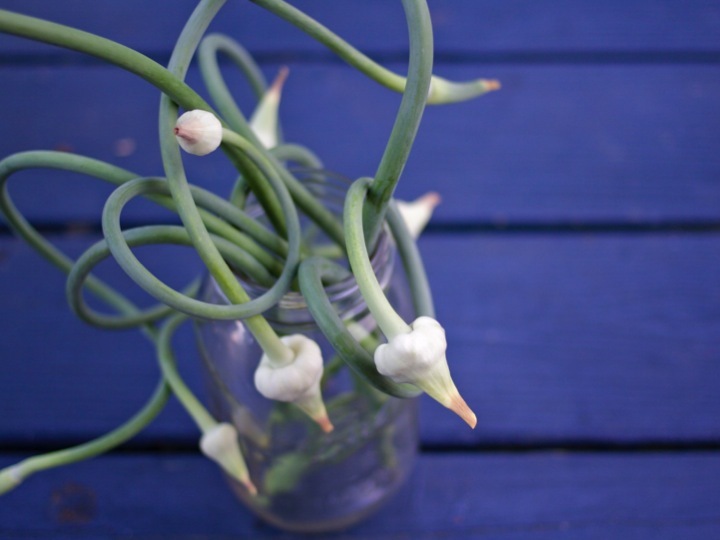 They are less potent in flavor but provide similar results – which is why scapes are such a gift to tide us over until the bulbs are ready. I like to make garlic scape pesto and store it for seasoning, or you can chop the scapes and store them in the freezer in a tupperware for later use. But my absolute favorite way to store garlic is to stand them in a jar or vase and let them make a room beautiful. They are extraordinary works of art. 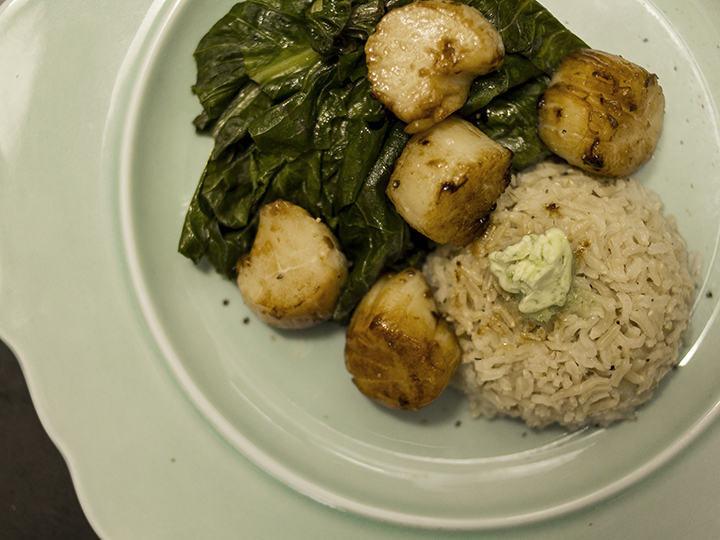 So, Garlic Scape and Lemon Butter. This is what’s known as a “compound butter” or “finishing butter.” Essentially, it is flavored butter that can be used for sautéing vegetables, scrambling eggs, searing meat and fish, stirring into soup or dolloping on top of a finished dish to add seasoning. My favorite way to use it is to smear a healthy dab of butter on Wide Awake Bakery Bread. Heaven in my mouth. 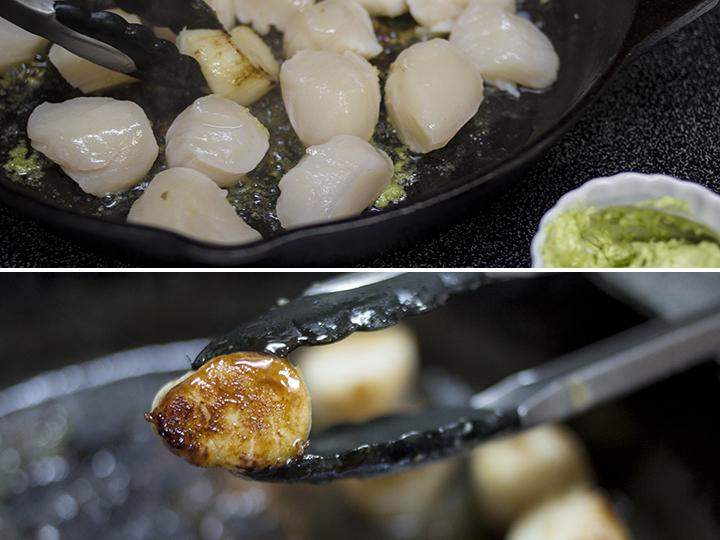 I love searing scallops in Garlic Scape and Lemon Butter! Compound butter, or "finishing butter", can be stored in the freezer or the refrigerator, and used at will! 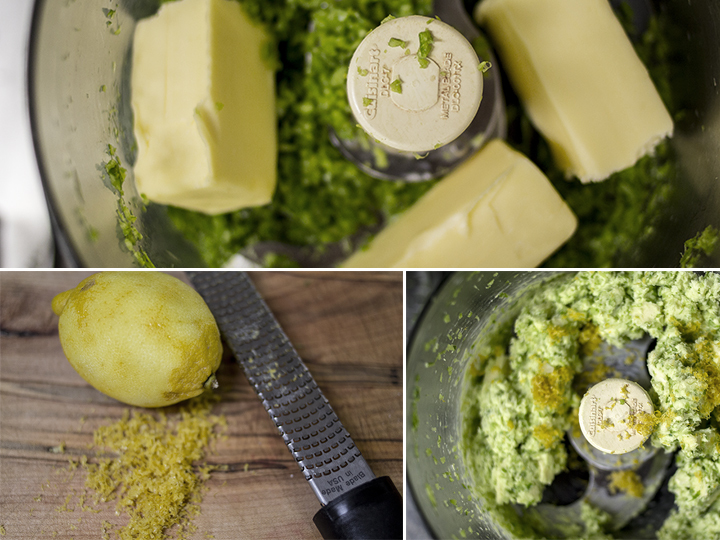 It's such an easy way to brighten your kitchen and cooking, and will impress anyone when you put out a loaf of fresh bread and gorgeous green butter! 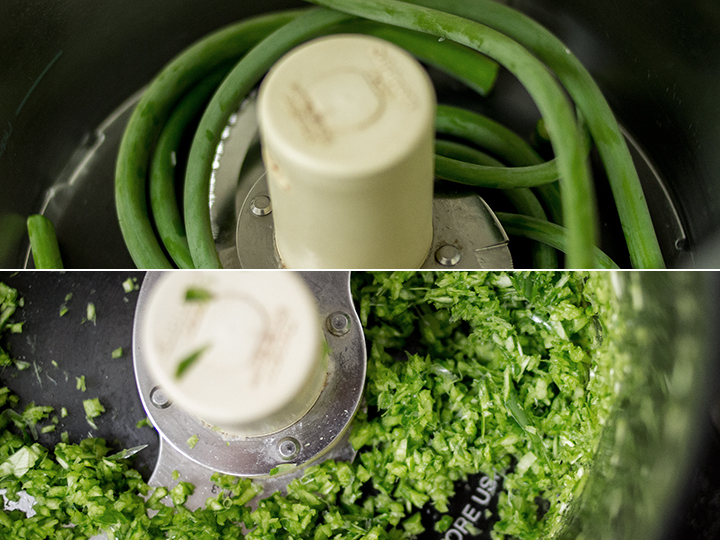 Add the garlic scapes to a food processor or blender and mince. Add the butter, lemon zest, lemon juice and sea salt and blend until thoroughly mixed. 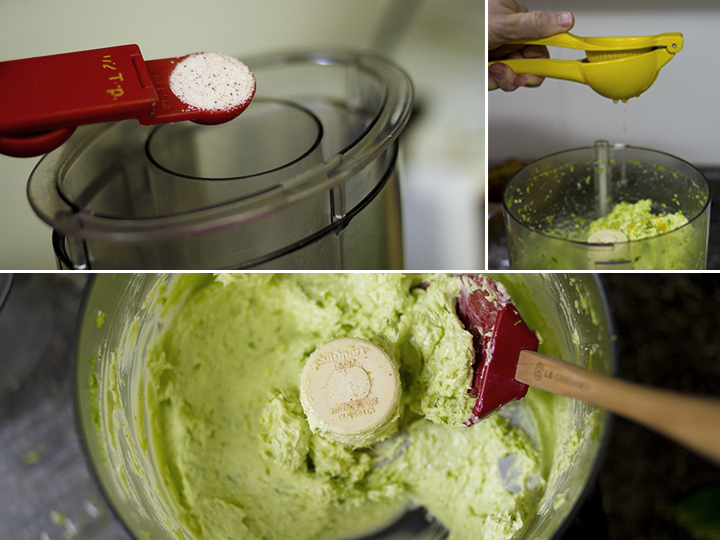 The butter will be a gorgeous bright green color. 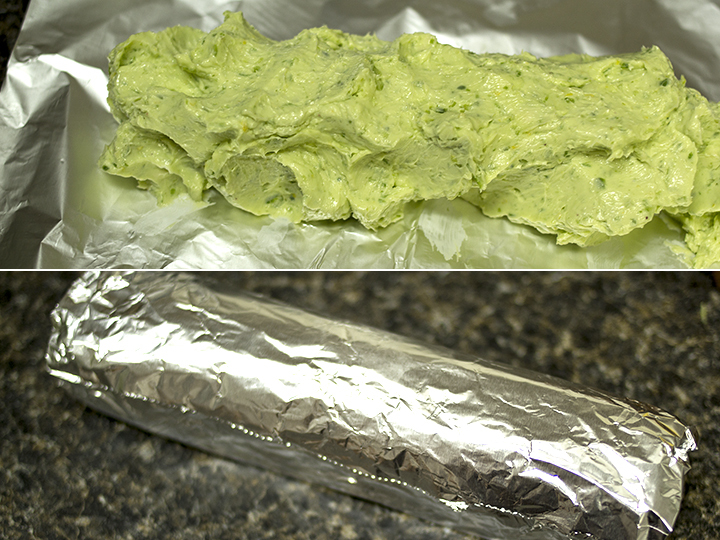 Transfer the butter to a piece of foil or plastic wrap, and roll it like a burrito. Store the butter in the refrigerator to harden, and keep for up to 2 weeks, or store the butter in the freezer and slice off a dab whenever you need it.